Examples, solutions, and videos to help GCSE Maths students learn about indices. The following diagrams show the rules of indices or laws of indices. 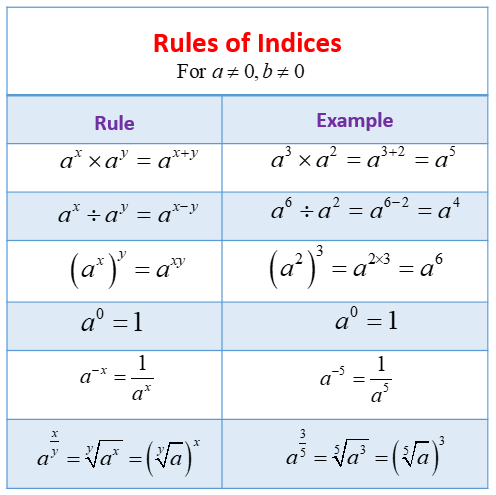 Scroll down the page for more examples and solutions on how to use the rules of indices. Indices or powers are used to write statements involving repeated multiplication in shorthand.